How can businesses drive traffic to their websites? The Internet has brought both consumers and businesses countless benefits. People have the ability to conduct product research before they buy and to keep in touch with friends and families, as well as their favorite celebrities and brands. Companies also have this advantage, and they gain an abundance of insight from communicating with their customers. They have expanded to reach their global audience. No longer are they confined to the standard brick-and-mortar store. However, this e-commerce capability also has its obstacles. "40% of business professionals have trouble driving traffic to their websites." In a recent ProOpinion survey, 40 percent of business professionals reported they have trouble driving traffic to their websites. Another 17 percent have a similar problem with social media and struggle to create a presence with their accounts. Approximately 14 percent of digital marketers also experience setbacks due to small budgets and the multitude of analytical software on the market today. However, these bottlenecks don't have to create permanent problems for companies. With the right strategy, businesses can control their technology, instead of allowing their gadgets to reign over them. Here are just a few ways business professionals can drive traffic to their websites. To truly establish yourself as an expert in the field, you need to develop thought-provoking content. This means writing articles and creating videos that people will want to interact with. For every post, you should have a goal in mind - what do you want to accomplish? What will people learn? Will this improve people's understanding of this subject? Content should not be uploaded just for the sake of posting something. There are various ways you can create successful articles, videos and images, according to Forbes magazine contributor Jayson DeMers. Use search engine optimization to allow your posts to appear in search results whenever someone is looking up keywords. You can also get well-known bloggers to contribute content to your website. 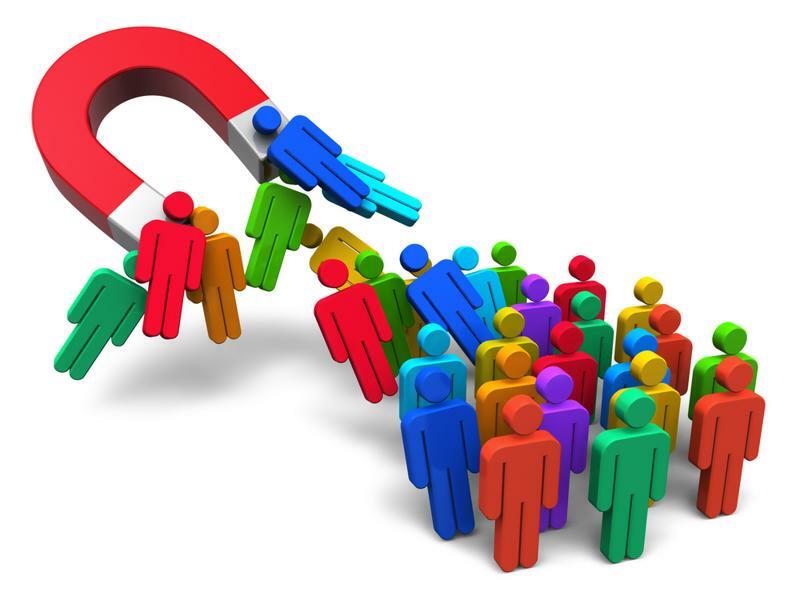 Even if you aren't popular among the masses, his or her name will drive traffic to your page. While occasionally posting to your website may receive some attention, the process doesn't attract nearly as much as attention as it could. To establish a presence on the Internet, you should post often, preferably every day, if not more. According to Neil Patel, the founder of Quicksprout, publishing six posts instead of five each week can increase a website's traffic by 18.6 percent. He believes that uploading content at least three times daily could drive more than 1 million visitors to the page each month. Don't be afraid to post multiple times a day. While it may seem like a lot, each piece of content will receive different viewers or readers, so you won't overwhelm the same people each time you post. Not every business will receive the same numbers as Patel's, but through experimentation, you'll be able to find which numbers work best for you. Regularly posting to social media and your website will attract visitors. If you want to become skilled in social media, you need to learn the ways of each platform. Twitter only allows 140 characters per post, Pinterest is only images, Facebook has business pages and Google lets you create circles of followers. You'll reach different audiences with each account, and you'll have to create content that fits the platform. Sharing posts from your website can generate traffic for both social media and your company's site, Forbes contributor John Rampton explained. Don't forget to use hashtags, which are the SEO for social networking. This will ensure your posts appear whenever someone searches for specific terms. Contacting a company and receiving no reply can frustrate consumers enough that they won't return. By replying to most comments and messages on your pages, you'll create goodwill with customers, according to DeMers. People like knowing their problems and suggestions are being heard, and you can show them they are by communicating via your website and social media accounts. "When online, consumers want to talk to other people, not a brand name." This will also show people that you're human. Consumers want to talk to other people, not a brand name, Rampton claimed. They can't relate to a company, but they can connect with the employees at that business. Interacting with active users creates relationships with consumers and shows there is someone behind the logo that cares enough to respond. People don't want to struggle to find what they're looking for. They want results to appear on the first page of Google. You can make it easier for them - and bring more visitors to your sites - by linking to other accounts. Include icons of social media on your website, so people can connect with your business in other ways, Rampton suggested. The opposite applies as well. Make sure your social accounts include a link to the company website. This ensures people will see what your business is doing and what it can offer consumers. When people have a positive interaction with a company, they'll share their experience with their friends and families, which will encourage them to look up the business. By creating a website and social media accounts that promote you to your audience, you'll be able to drive traffic between your pages.